September in Vermont is Fair time. The Horse Pull competition is always an exciting event. The raw power of these mighty beasts is something to behold. But even they need regular training to stay in top form. This pair was working out recently at the Sugarbush Farm in Woodstock. Wonderful. Brings back memories of fairs and farms. Well, this brought an emotional response! My grandfather made his living as a logger, skidding with horses, and my uncle too until his retirement recently. 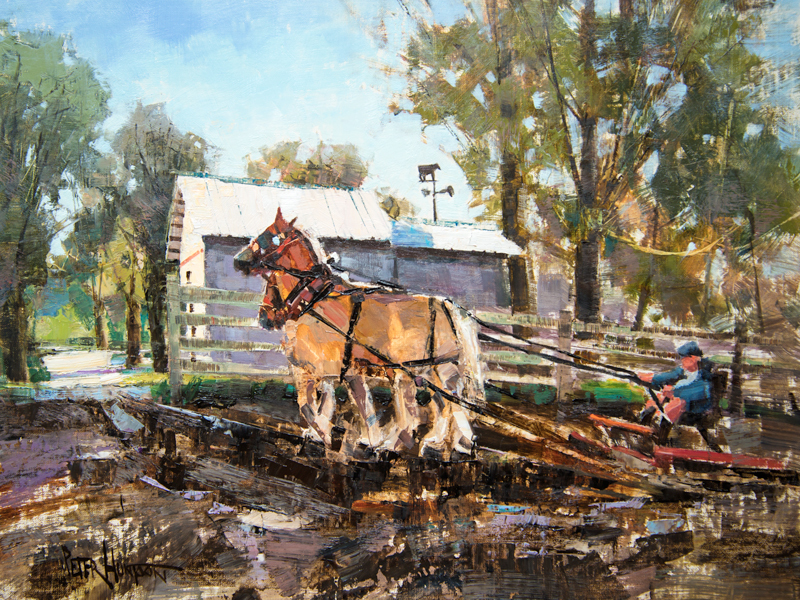 There were times time my grandfather would bring his horses to pull at the fair, and I remember watching as a little girl. Funny my mother and I were just talking about this. 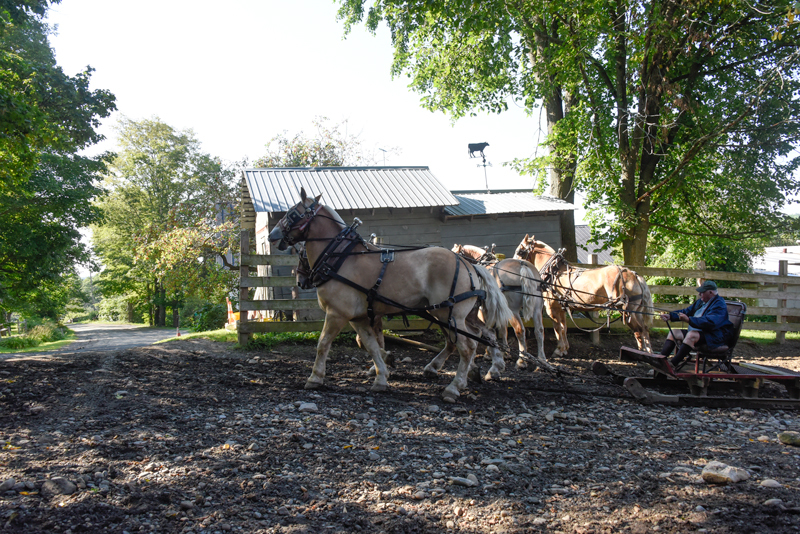 LOVE ‘Training Day’, and hearing about the Autumn fairs and especially, the Horse Pull. Your mosaic of warm and cool color patches gives a keen sense of movement and dappled sunlight. Also, I’m delighted that you chose to give the yard where the horses are exercising a more rough and jumbled look than is seen in the photo. It brings back memories of watching a team working amongst woodland slash and fresh cut logs more than 60 years ago. Our son drives a horse in Mancos, Colorado, with a buckboard that carries townspeople and tourists. Beautiful….nice colors, details….action packed painting! Larry and Betsy Luce the owners of Sugarbush Fram are my husbands cousins. So pleased you chose to feature Larry and Betsy Luce of Sugarbush Farm! They are wonderful folks! 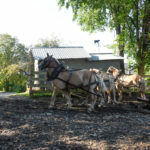 I love sending guests to visit–for maple, cheese, nature trail and their horses! Friends told me about your painting. Any chance we could work out a trade for print for cheese/maple syrup? Horses are at Tunbridge Fair Today.